The NHS has recently been consulting on a new ‘Long Term Plan’. The idea is to gather input from people and organisations the NHS will set out its ambitions for improvement over the next decade, and its more detailed plans over the five years. This is particularly important in light of the boost to NHS funding announced by the Prime Minister to coincide with the NHS’s 70th birthday this summer. 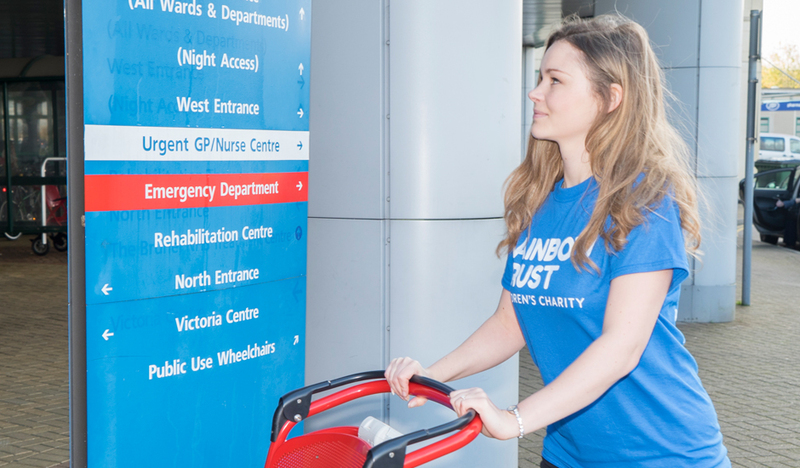 Rainbow Trust has responded to the consultation to make the case for the best possible support for seriously ill children and their families. Above all, we would like to see NHS England and the Department for Health and Social Care urgently clarify the responsibilities for local health decision makers (Clinical Commissioning Groups or CCGs) and local authorities to provide ‘short breaks’ and respite care for families, to clear up any confusion over who should provide what. These types of services need increased funding so that families can cope better with the strain of caring, both practical and emotional. With referrals to Rainbow Trust up 12 per cent during 2017-18, the demand for emotional and practical support is rising. Family support services urgently need to grow, not shrink. But at the moment we know that in many cases these local services are being cut as local authorities struggle to balance their books and adapt to reduced funding from central government. There needs to be more data collected on children with life threatening and terminal conditions. Without this, it is impossible for their health and care to be planned effectively for the future. There need to be enough doctors and nurses in place, and with the right training, to deliver high quality child palliative care, whether at home or in the hospital. At present there are high vacancy rates for some roles, such as community nurses, who can help a seriously ill child stay at home for longer rather than being admitted to hospital. The proposed focus on a small group of ‘clinical priorities’ affecting large groups of the population must not mean that the growing numbers of children and young people with undiagnosed and genetic conditions are overlooked. Children with rarer conditions, and their parents, can feel particularly isolated in comparison to children for whom a treatment pathway is well established. Children and families need earlier signposting to emotional support to help them cope with their situation and to prevent more serious problems arising. At the same time Child and Adolescent Mental Health Services (CAMHS) need increased funding so they can respond quickly should a child’s mental health issues escalate, whether they themselves or ill or whether they are a sibling of a sick child. The fully developed plan is expected to be published in November.